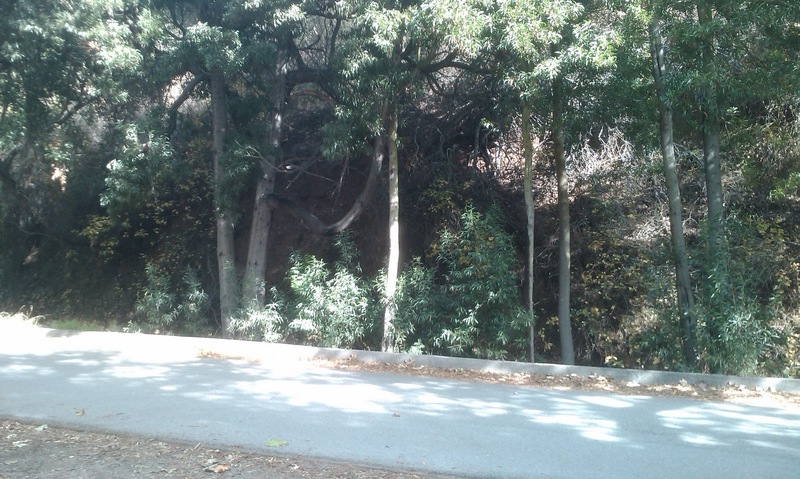 Wandering In LA: Franklin Canyon, Part I: You'd never know you were in L.A.
Franklin Canyon, Part I: You'd never know you were in L.A.
And technically speaking, it isn't in the City of L.A., but we'll get to that in a moment. First, though, to understand the significance of Franklin Canyon, it's necessary to know a little L.A. geography. Roughly speaking, the city proper covers about 450 square miles and is bisected from east to west by the Santa Monica Mountains and the Hollywood Hills, which together run from the beach almost to Downtown. A couple of freeways and several major arterial roads run through the mountains, and they hum with a constant rattle and burr of traffic, especially during peak periods. The traffic conditions on the 405 have reached mythical proportions, but even the smaller surface roads like Laurel Canyon and Coldwater Canyon can get very busy at times. Most of this area has been subdivided and developed, and although much of it is miles away from any amenities, it includes some of the most expensive and desirable property in the area. Between Coldwater and Benedict Canyons lies Franklin Canyon. As in the other canyons, there has been some residential development, but in this case it's limited to the lower and upper reaches, leaving the middle section mostly undeveloped. There are only a small ranch house and a couple of reservoirs, and the road that was built to reach them. For some reason, unlike the neighboring canyons, this area does not come under the jurisdiction of either Beverly Hills or Los Angeles, but is unincorporated County land. 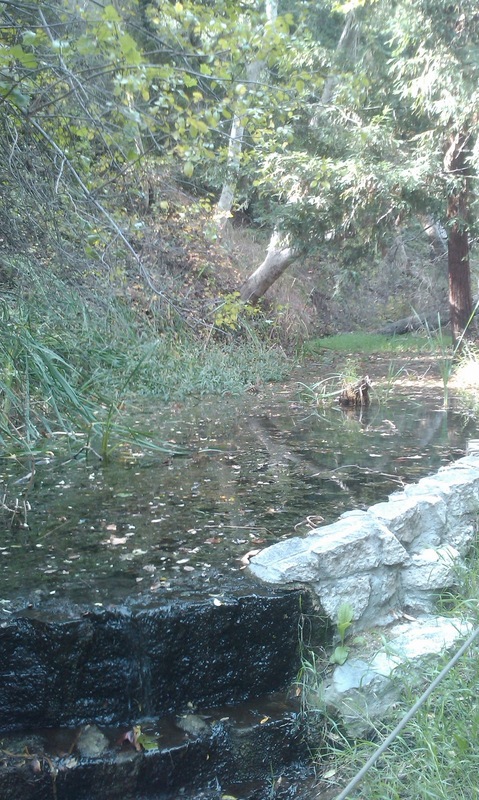 After the 1971 Sylmar earthquake, safety concerns prompted the DWP to decommission both the upper and lower reservoirs in Franklin Canyon. Their job was taken over by a more modern, rubber-lined facility about a quarter-mile north of the old Lower Reservoir. At this time, most of the canyon was under private ownership, and, with the DWP no longer needing the Upper Reservoir, the way was open for development. There soon arose a plan to build upscale houses on large lots, all through the canyon, but these plans were successfully averted through the efforts of conservationist Sooky Goldman and Comgressman Howard Berman. The property was acquired by the National Park Service, and the lower reaches of the Park were opened to the public around the year 1980. The two reservoirs in the canyon, like all of those operated by the DWP, remained off limits, even by sight, not counting brief glimpses to be had while driving through the hills above. 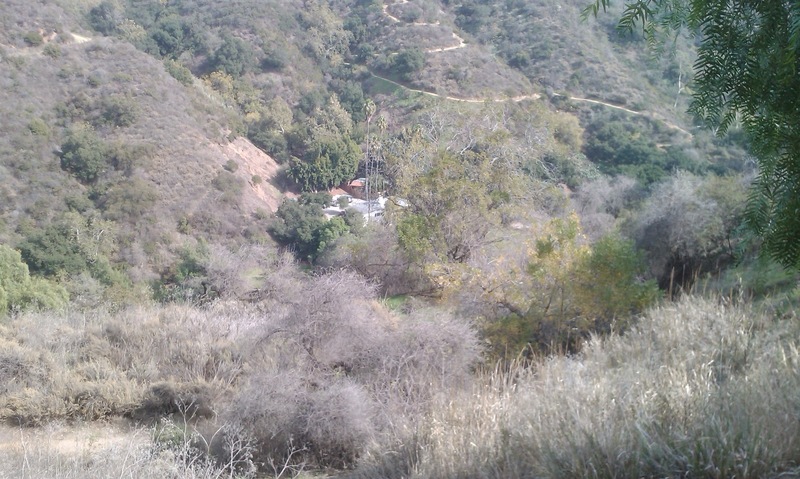 We get our first view of the Canyon from above, after passing the last houses on Beverly Drive. The ranch house in the distance, which is a lot smaller than you'd expect, was built in the 1930s by the Doheny family as a canyon retreat, and is now used by Park staff. From this vantage point, the entire area looks bone dry, even though there had been rain recently when this picture was taken. Nevertheless, when we actually are down in the canyon the general aspect is of a much more moist environment. We can begin by following the road ahead down to the bottom of the canyon, where we can take a closer look at the house and its immediate grounds. To anyone who has ever lived in this area, familiar with the long, slow lines of commuter traffic in the other canyons, every weekday, this is something of a contrast. Coldwater and Benedict Canyons are not hideous places by any means, but they are completely "taken" as it were, by the private property on which the numerous houses sit, and the crowded roads that run through them. They also betray the fact that they were built up in a time when allowing the traffic through, in the name of "progress", was more important than providing a calm environment for the people who live there. 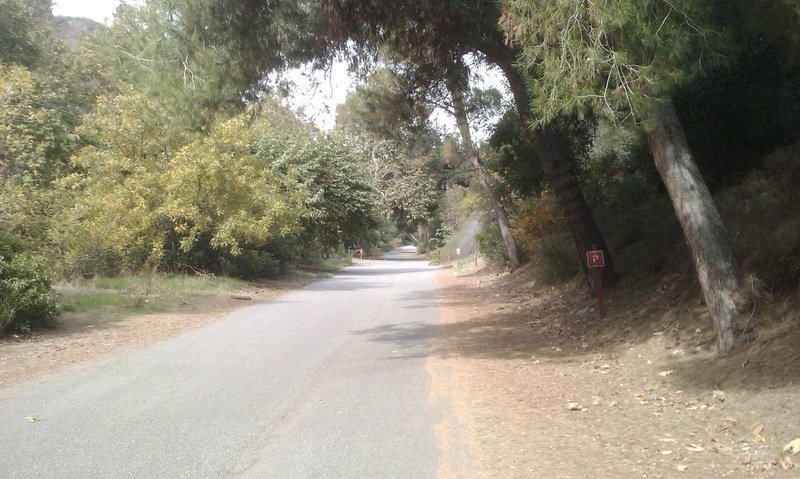 Many of the side roads, like Cherokee Lane in Coldwater Canyon, are not dead-ends, as you'd expect, but provide access over the hills to other areas like West Hollywood. The traffic on these streets hardly ever stops. I know, I'm displaying my geek credentials here, but this stretch of road always reminds me of that part of The Lord Of The Rings where Sam and Frodo are hiking through Ithilien, under control of the Enemy but not yet corrupted. In the same way, Franklin Canyon has not been overrun with the wall-to-wall housing developments that characterize its neighbors. 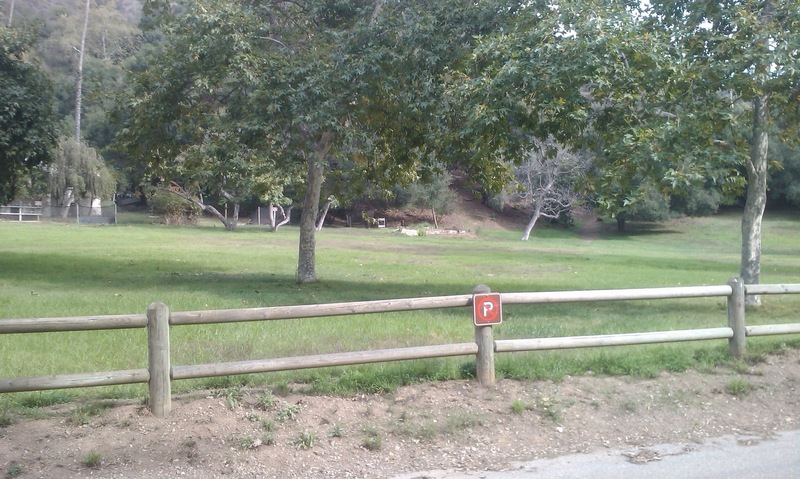 The road dead-ends at a locked gate, beyond which is the Lower Franklin Canyon Reservoir. This has always been off limits to the public, as most reservoirs of the Los Angeles Department Of Water and Power (DWP) are. 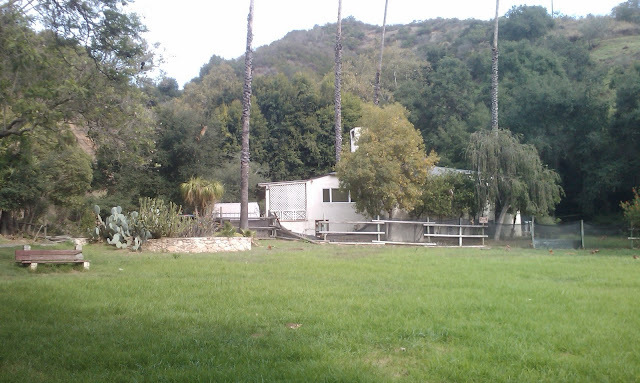 Looking to the left, we now see the Doheny ranch house from a closer vantage point. As noted, it's a lot smaller than you'd think. There's just one fairly large room on the main level, adjoining a couple tiny side rooms, probably a kitchen and bedroom. You'd think the Dohenys would have wanted something more elaborate, but considering they owned Greystone Park they must have decided they had enough rooms for everybody in the family. Here's another view of the immediate grounds, where the NPS often holds presentations for the public. This section was opened to the public in the early 1980s. At the time, someone was still operating a working ranch, and numerous cautionary signs were posted about "dangerous wild cattle". If they're wild, you don't own them, do you? When this area became fully integrated into the national park system, the cattle went, to where I do not know. Now we'll head back up the road, which, by the way, isn't Franklin Canyon Road, but properly known as "Lake" or "Lake Franklin" Drive. As we drive or hike upwards, we stop to take in some of the peaceful spots along the way. There is always running water in Franklin Canyon., because a small amount of water is always being released from the Upper Reservoir. 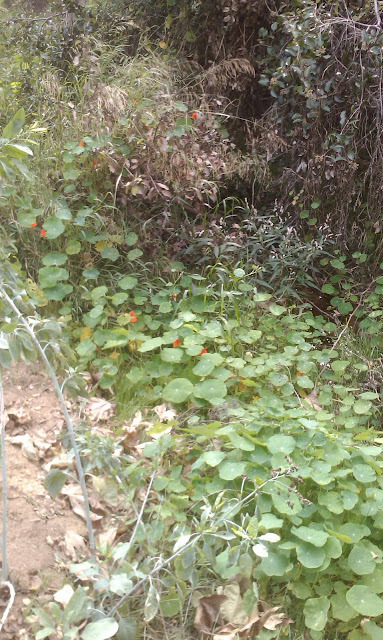 Most of the canyons have springs in any case, but they usually aren't visible, because they're on private property, or else they've been paved over and their water diverted. The spring shown in the next picture is beloved of all the dogs who are fortunate enough to be taken here by their owners. Along the way there are numerous spots that suggest a garden, long neglected but still alluring. Numerous film and TV scenes have been shot on location in the canyon. This is right about where they filmed the hitchhiking scene in It Happened One Night. The split rail fencing is very prominent in the scene, and still much in evidence along different stretches of this road. Southern California is semiarid by nature, but the canyons are usually a bit wetter, due to the surrounding mountains that reduce the daily exposure to sunlight. As a result, like all the canyons, Franklin is considerably greener than the surrounding hilltops, or flat country elsewhere in the region. A little over half a mile up from the ranch house Lake Drive terminates at Franklin Canyon Drive, where we find an odd little house at the fork in the road. 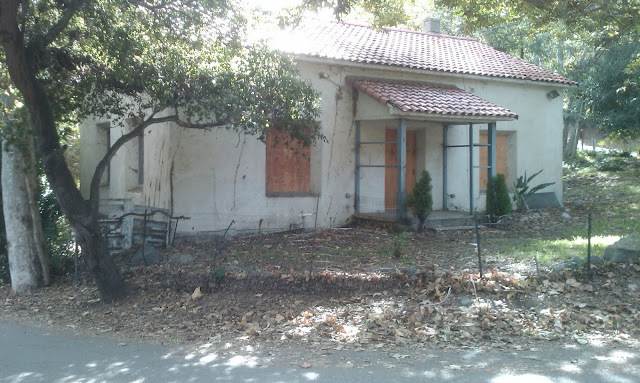 It appears to be abandoned now, but according to one of the park rangers, it was once owned by the DWP and occupied by one of their employees. The boarded up windows are not encouraging. There ought to be some use to which this unusually picturesque house could be put by the park service. 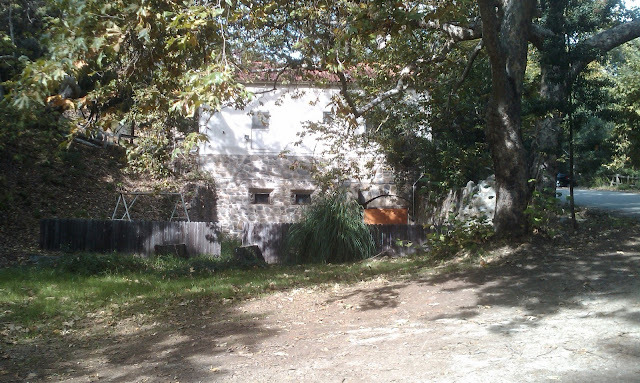 There's a steep declivity behind the house, where a basement level is visible. Although it never was one, it's strongly reminiscent of a mill house. Sure, the people who lived here had to drive three miles to buy a loaf of bread, but it looks like it must have been a nice place to live even so. 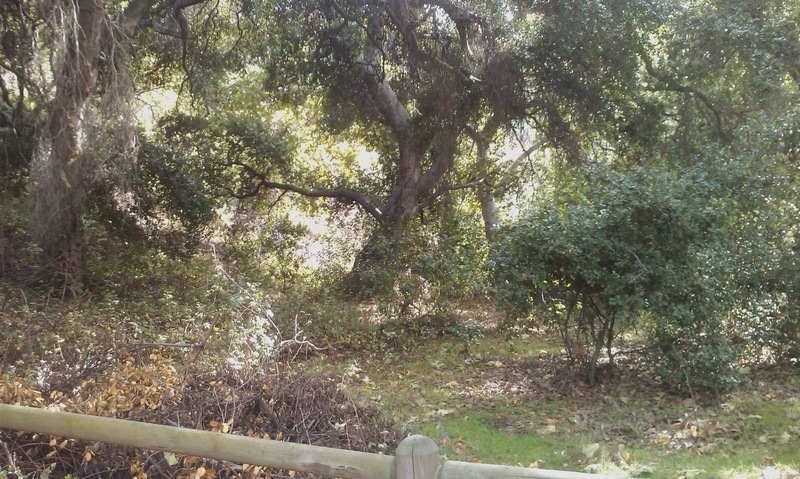 The area around the house is well provided with old growth trees that give an almost sylvan effect. The house was looking a lot better in the early 1990s, when this photo was taken. 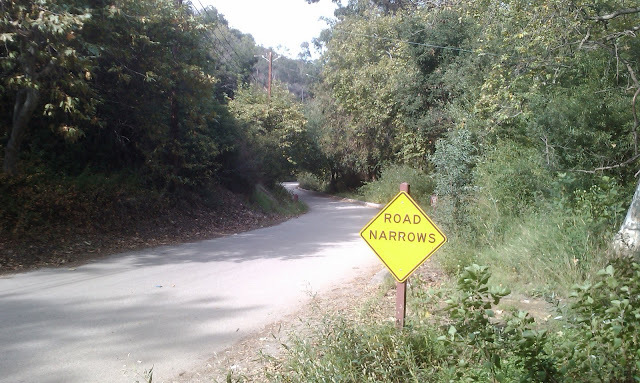 Continuing north from the fork along Franklin Canyon Drive, the road begins to wind and rise more steeply. And more narrowly, as the sign warns us. If we continue along this road for a short distance, we reach Upper Franklin Canyon Reservoir. The roads to and around the Upper Reservoir were opened considerably later than the lower portion of the Park. At that time the Sooky Goldman Nature Center, including a small museum was opened as well. This concludes the first installment. The Franklin Canyon story is continued right about here. So funny to read this after all these years. 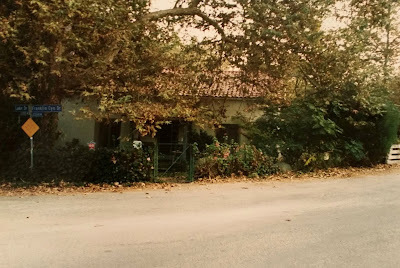 We lived in that boarded up house in the 70's with our three small children. They roamed freely playing in the streams catching polywogs. Several films were shot at our house including Doris Day and Manix. They paid us a whole $50.00 for the use of our property. It was a heart place to raise our chdren while being out of the city. From there we moved to Stone Canyon. Thanks for the article. Around that same time we often used to bring our dog George to the Canyon--we lived off of Coldwater--and we must have walked him by your house at least a hundred times. Not far down the road from your place was a spring on the west side of the road that George loved to splash about in. It's still there but now has stonework around it, making it more solid. Because of the siting of your house I always used to wonder if it had been a mill of some kind, but I don't think the history bears that out. Still, it's perhaps the most unusual house I know of in the whole area.